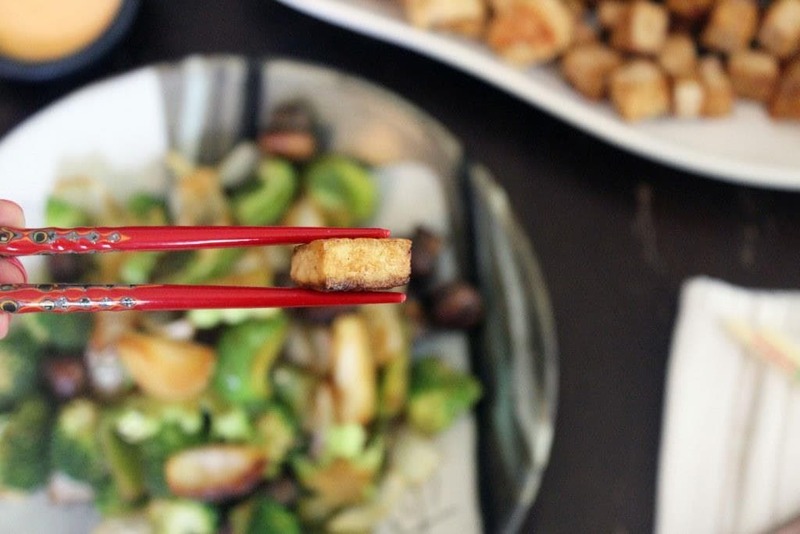 How the internet continuously goes insane over one of the very first posts I wrote, this hibachi shrimp that is DUMB easy but also delicious and healthy? Well, a few things have happened. First, in that post we only talk about shrimp, and there are SO many other things that can be hibachied. Also. Shrimp sauce. White sauce. But it’s pink? People love it, and we should all know how to make our own. 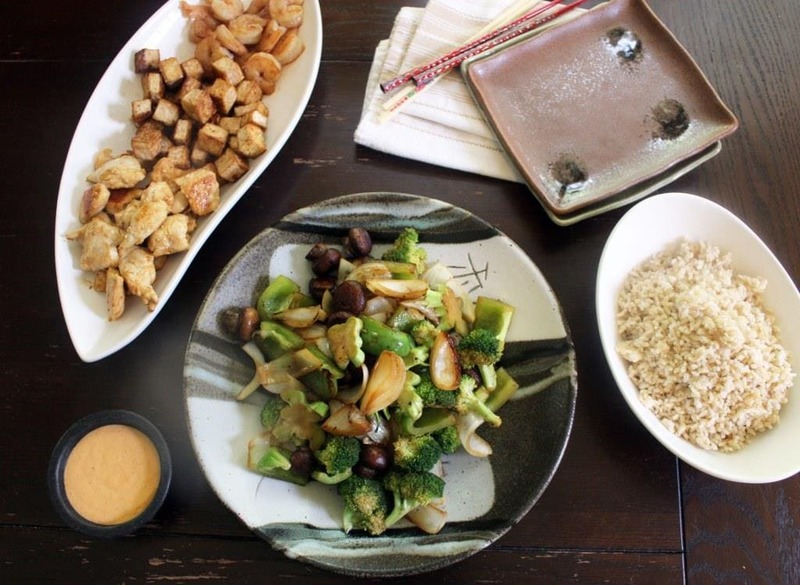 Because THEN you can make, like, a hibachi FEAST. 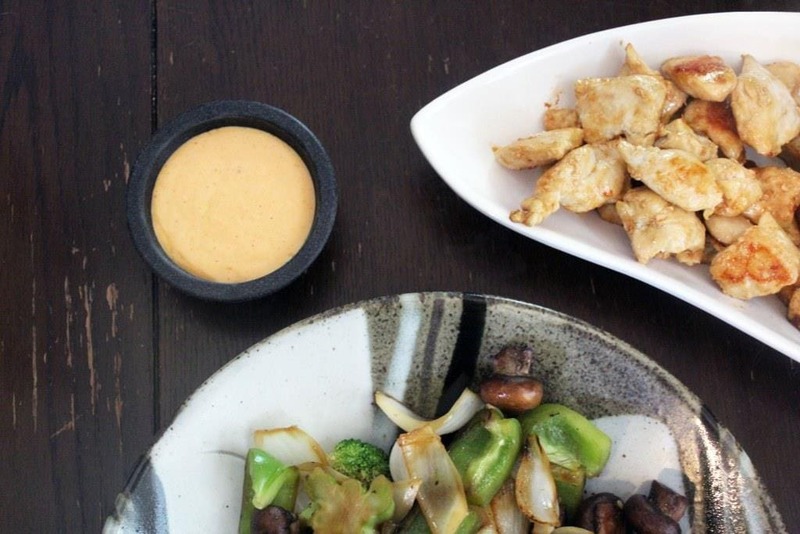 Not just hibachi shrimp, not that there’s a thing wrong with that. 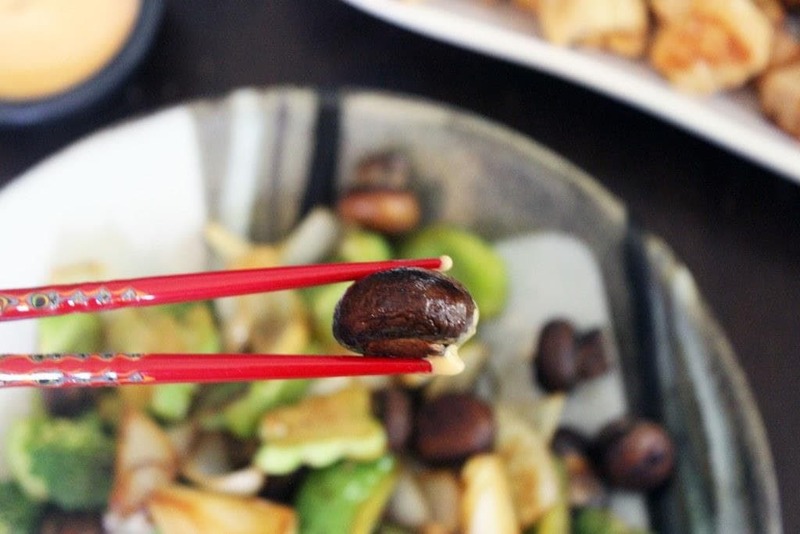 The other reason that I really wanted to redo this “recipe” (more of a method) is that a few folks have told me that something that makes hibachi taste like hibachi is a little citrus with the soy flavoring. So, this time I added some citrus to my seasonings. 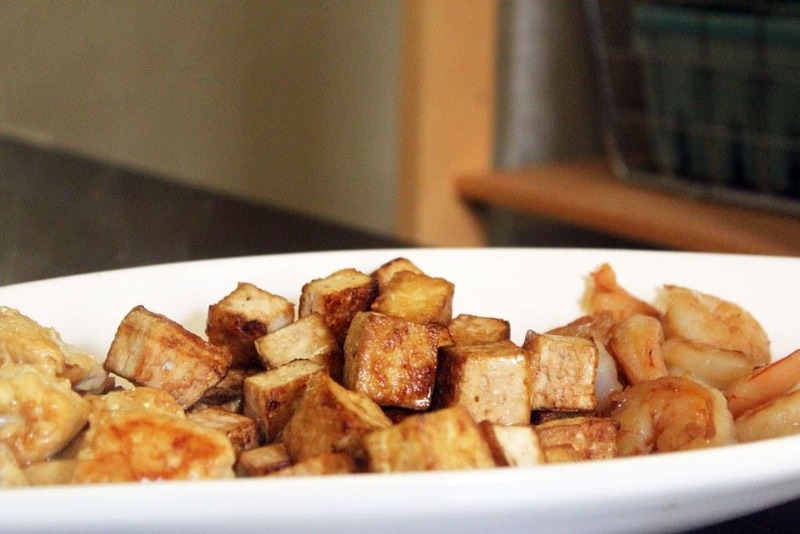 It is super delish, but I also like the plain soy method. Citrus or no is totally up to you. Let’s make the shrimp sauce first. It’s easy! 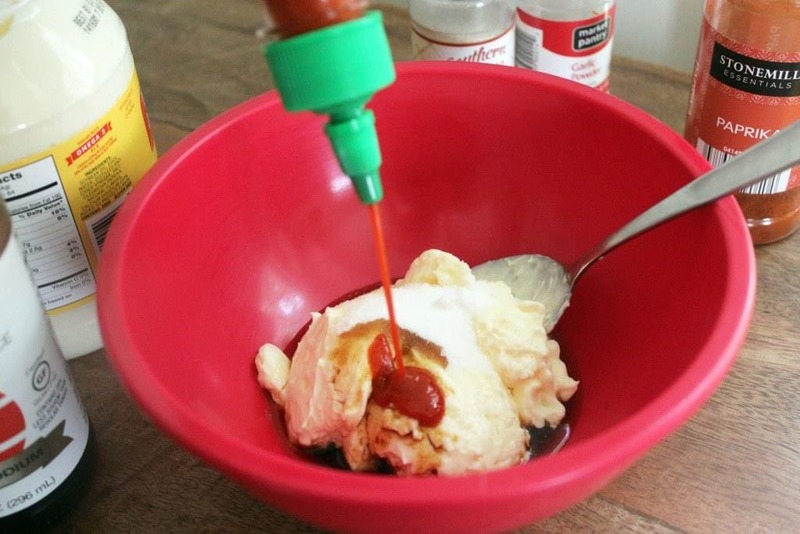 You just need mayo, sugar, soy sauce, rice vinegar, sriracha or some kind of other spicy stuff, onion powder, garlic powder, and paprika. White vinegar would be fine in this too. 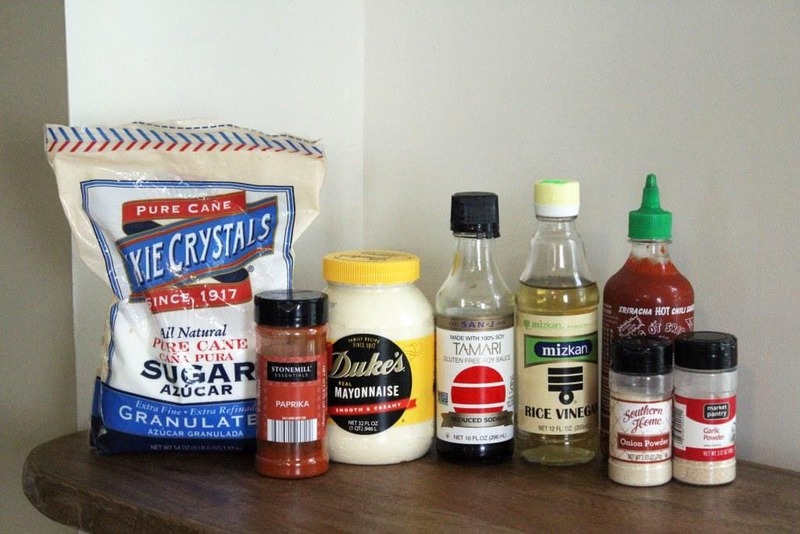 ….and the soy sauce, vinegar, and spices. 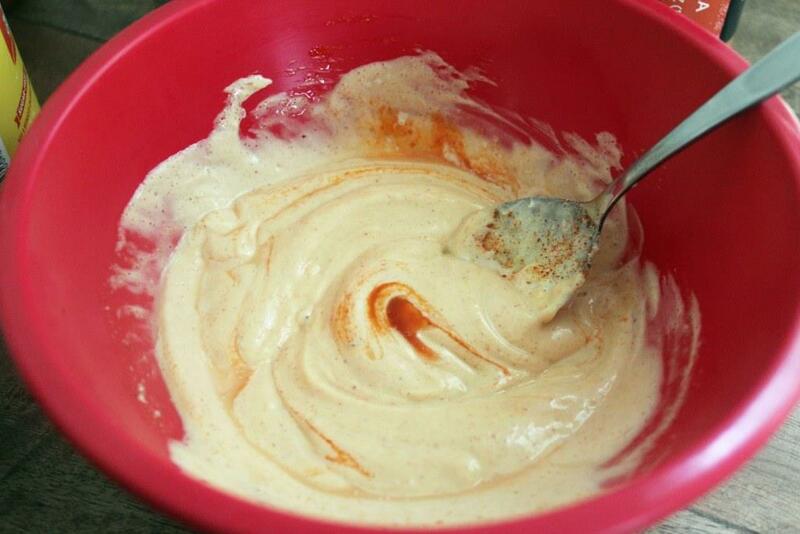 Add as much sriracha as you can handle. Then stir everything together and taste! Add more of anything else that you’d like to make it delicious. Now, onto the hibachi! It’s just veggies and protein, then for seasonings we have oil for cooking, soy sauce, and lemon juice. 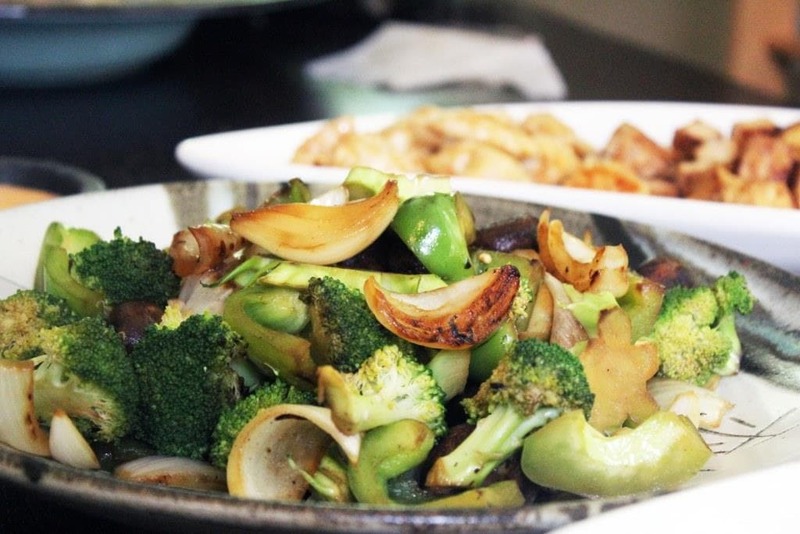 the best part of this is that you can use ANYTHING you like – I have shrimp, tofu, and chicken here with the veggies, but you could do steak, pork, zucchini, carrots – anything else you have around that you’d like to griddle up. I prep the veggies by cutting them into large chunks. And do the same with the protein. 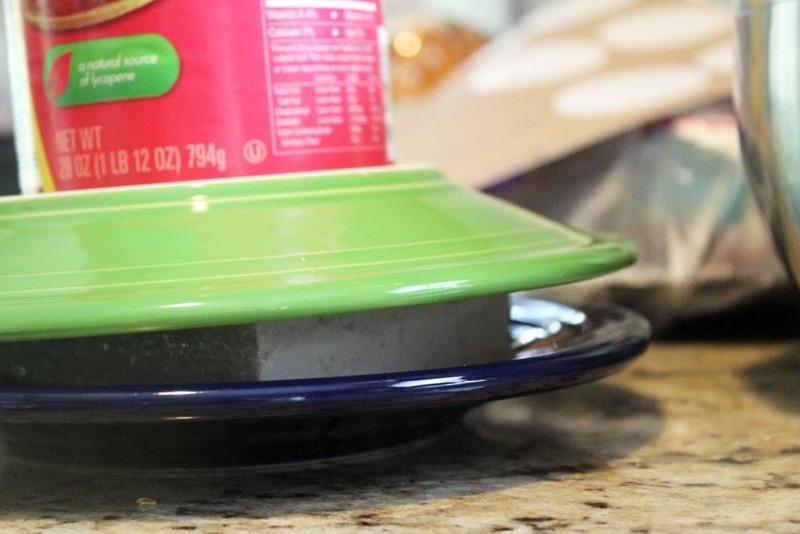 For the tofu, press it between two plates topped with a heavy can to get some of the liquid out. Now, onto cooking! If I’m making a ton of veggies, like in these pictures, I usually cook each ingredient separately so that everything cooks evenly. You can also cook all the veggies at once, then all the protein, or use two skillets at once to make everything go faster. No matter how you go about it, you need a skillet super hot (medium-high) with a drizzle of oil. Then, add whatever ingredient you’re cooking! 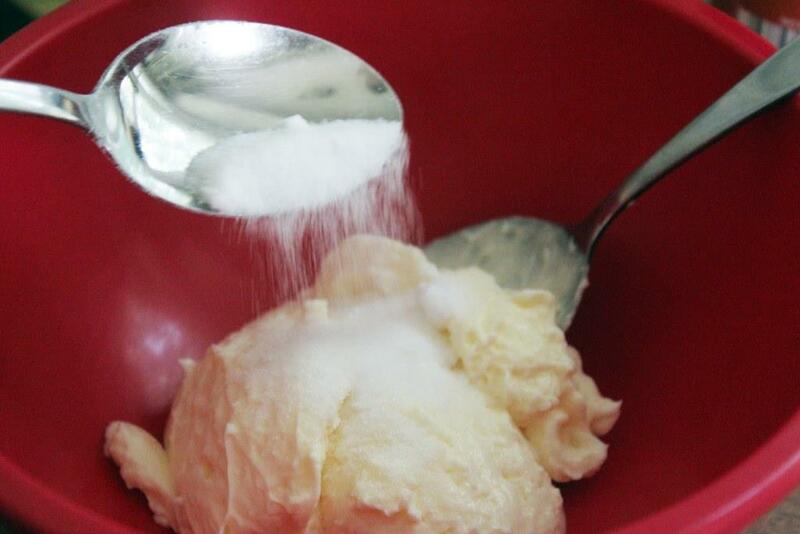 ….and squeeze in just a splash of lemon juice. 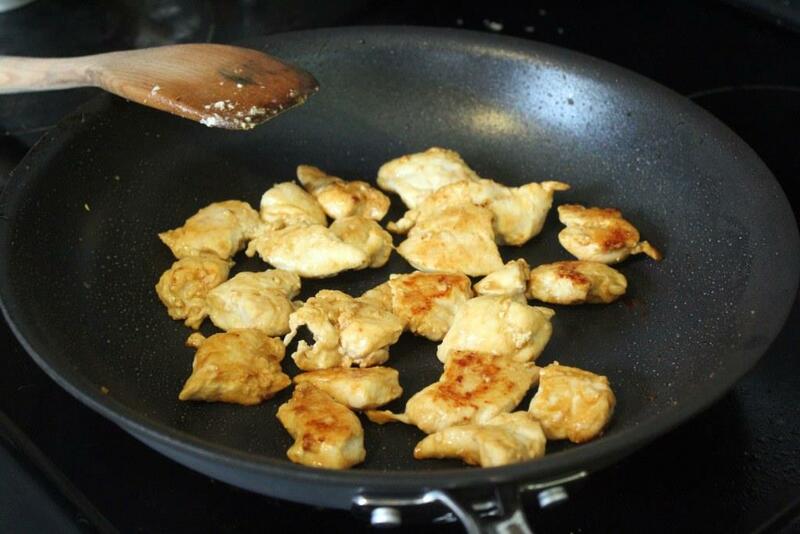 Toss everything around once more, then empty the skillet and move on to the next thing! 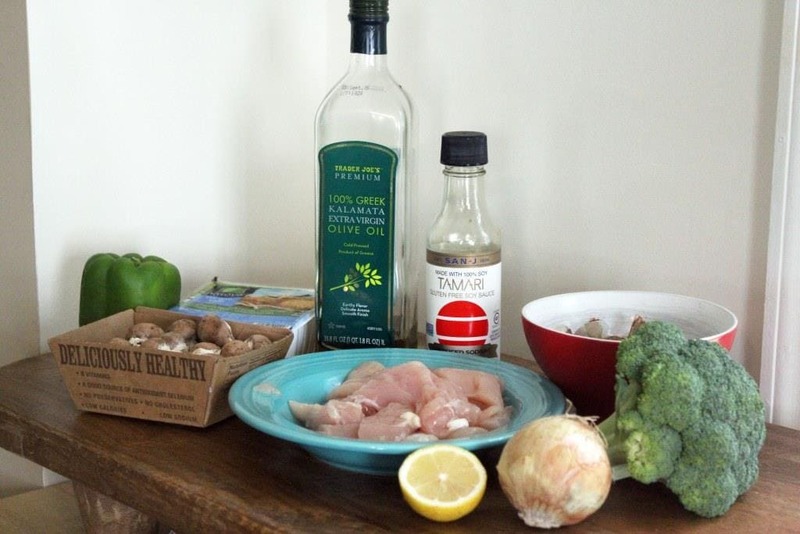 The key is cooking everything for the right amount of time. 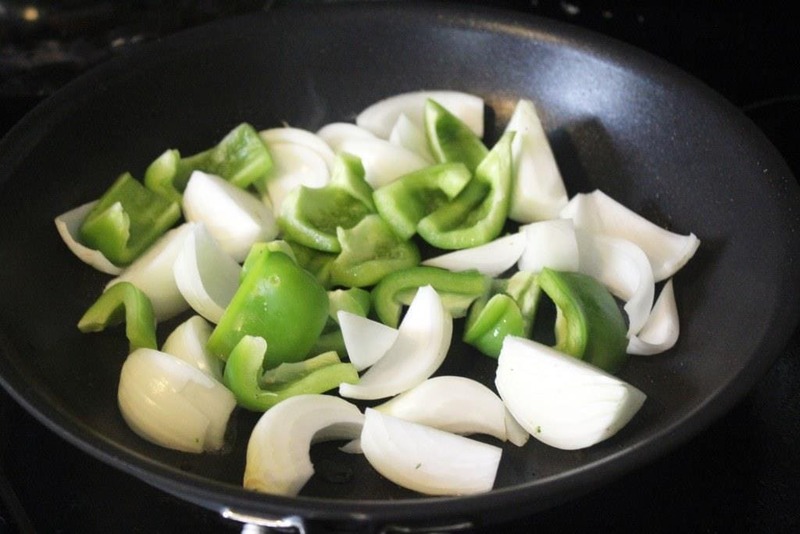 Peppers and onions take about the same amount of time, so I cook them together. 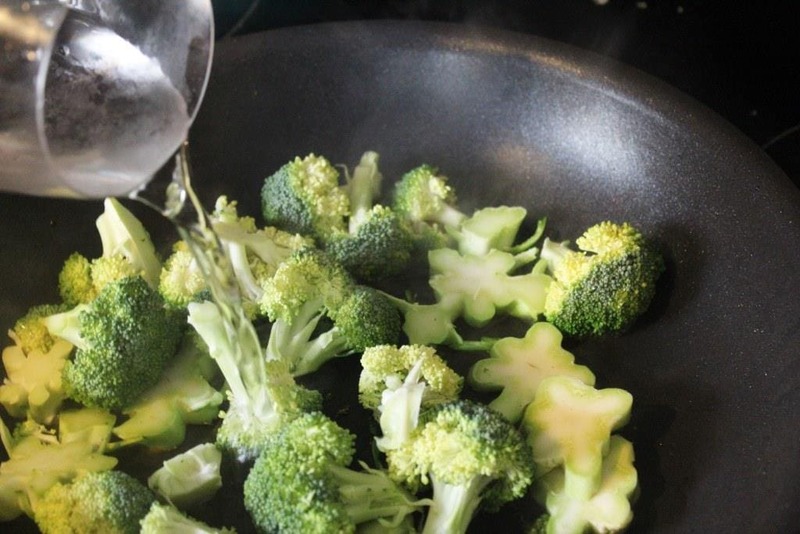 Broccoli and carrots can go together too, and I add a splash of water to these veggies to help cook them a bit faster and not burn but still be too raw on the inside. VERY IMPORTANT for veggies like broccoli that tend to get mushy: take them out before they look totally done to you. 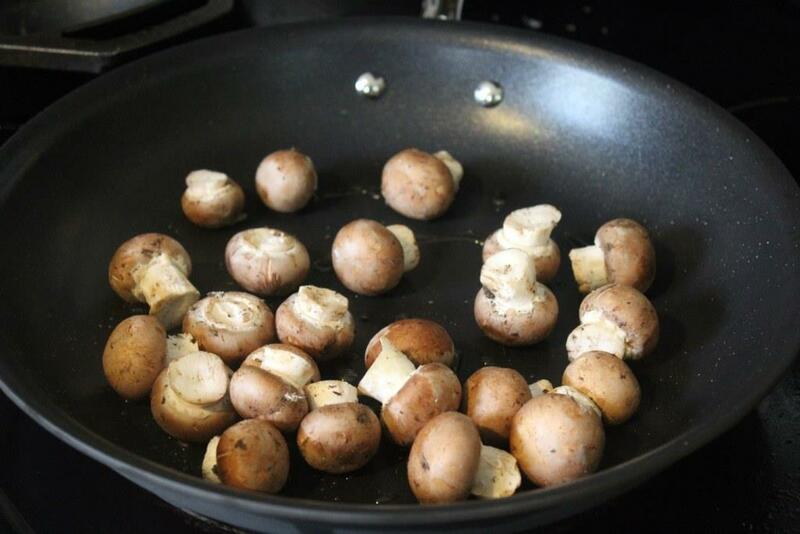 They’ll keep cooking a bit once they’re out of the skillet, and it’s better to have slightly crunchy veg than slightly overcooked. Blegh. Now, for the protein, same thing applies. 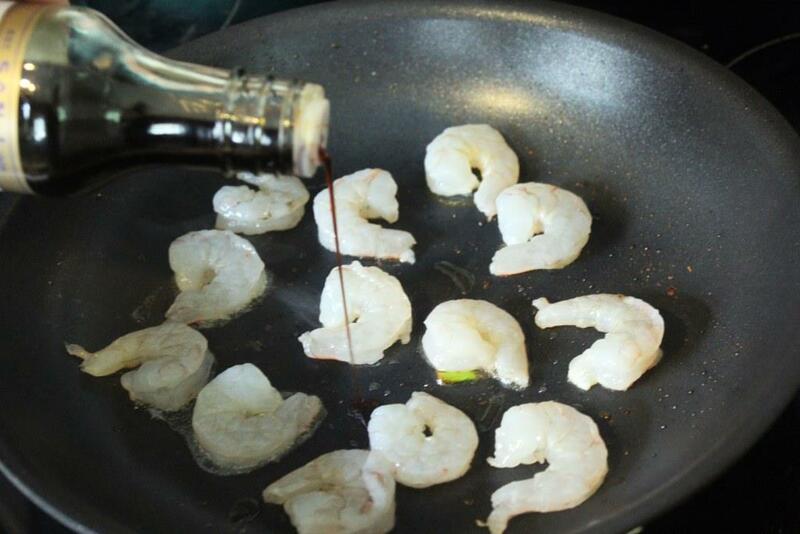 Shrimp cooks SUPER fast, so I start the soy/lemon addition as soon as it hits the pan. I flip it for 2 minutes, then it’s done! Chicken and tofu take a bit longer, so I let them go until they’re almost totally cooked through, THEN I add the soy sauce and lemon so they don’t burn the edges too much. So really, friends, it’s just a cooking method we’re working with here, not so much a recipe. What is GREAT about this is that you can griddle almost anything, add that gorgeous sauce, and WHAT a meal you’ve got! This is very fun food, and trustmetrustmetrustme, healthy and simple can be really delicious. Healthy mayo-based dipping sauce being a relative thing, of course. For the shrimp sauce, combine all ingredients in a bowl. 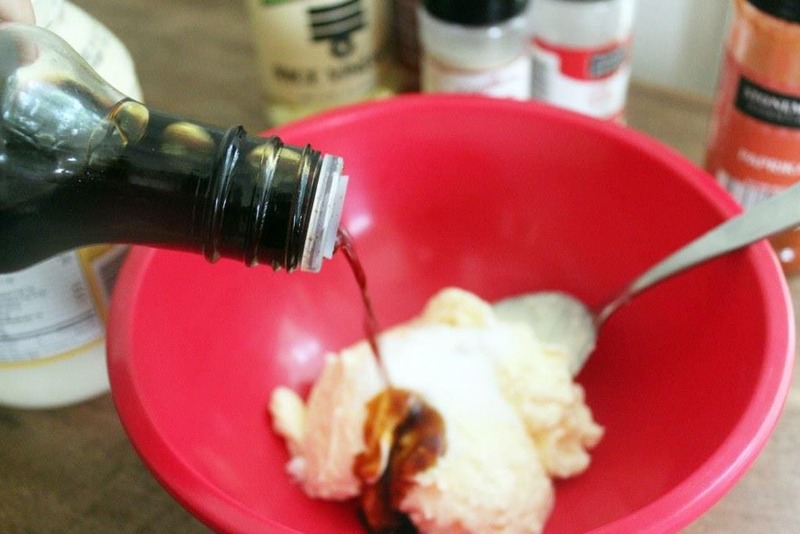 Taste, and adjust any of the ingredients to your preference. 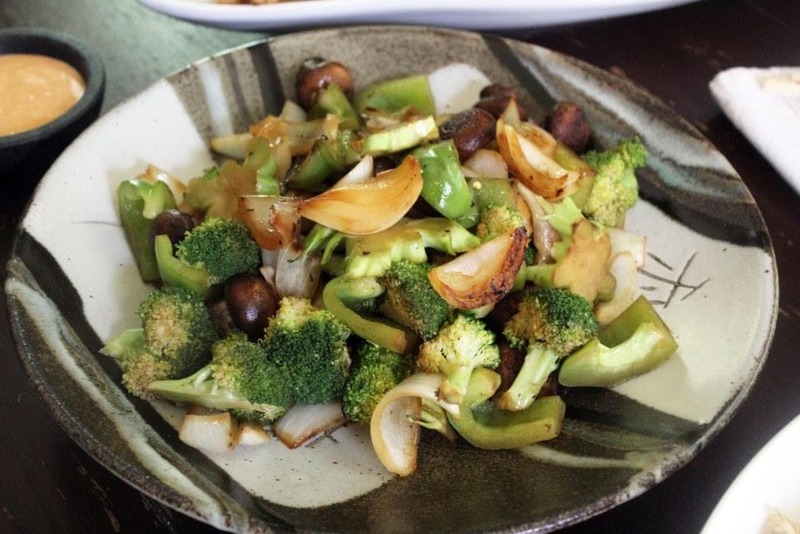 For the hibachi, preheat a large skillet, wok, or griddle to medium-high heat. Work in batches to cook the foods in one layer at a time so that each bite gets nicely browned. 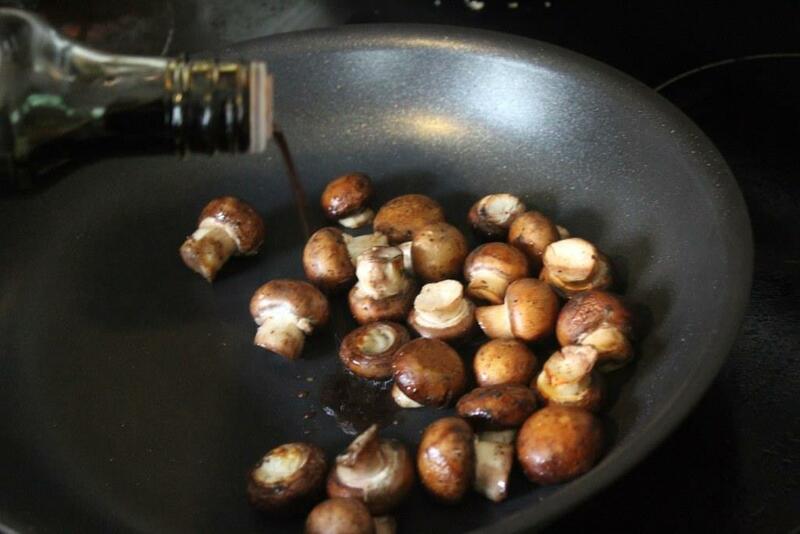 For each batch, drizzle a small amount of oil in the pan. Add the food you're cooking, and flip around until nearly cooked through. 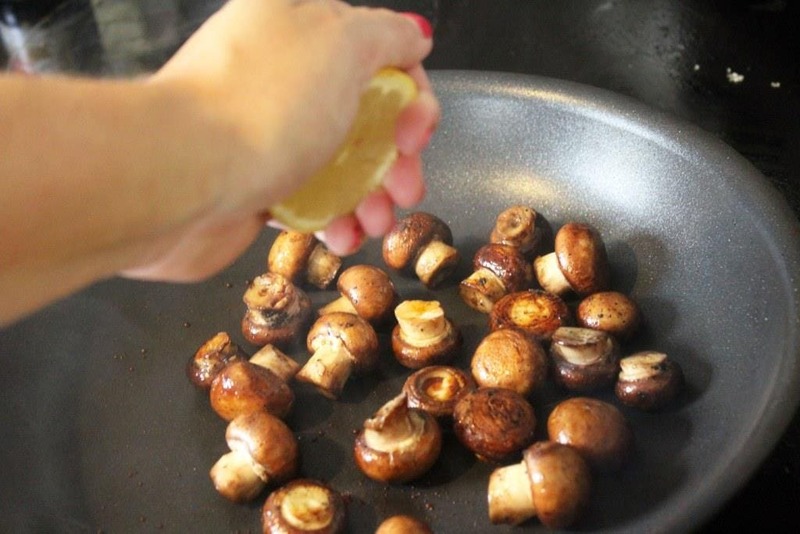 When 1 minute away from being fully cooked, drizzle the pan with a few drops of soy sauce and a squeeze of lemon juice. 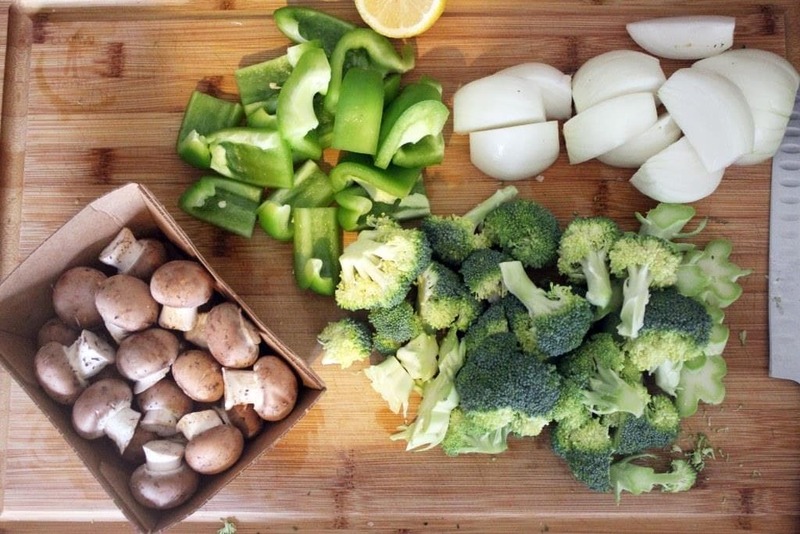 Toss for 1 minute more, then remove the food from the pan and repeat with the rest of the veggies and protein. 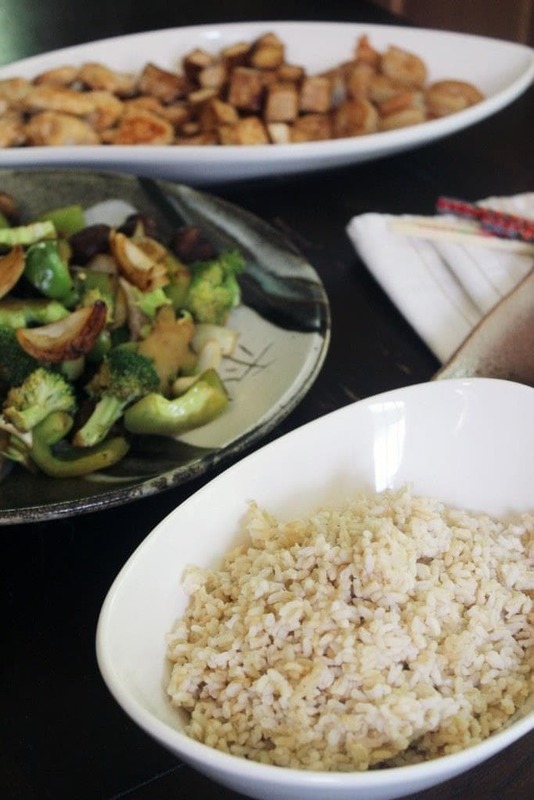 Serve veggies and protein with the shrimp sauce for dipping, extra soy sauce, and rice, if you'd like. 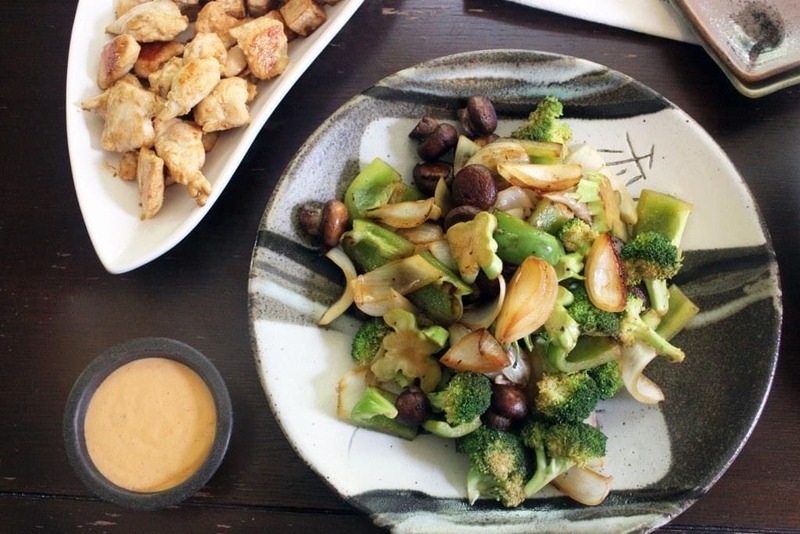 This is more of a method than a recipe - changing up the veggies and protein means you'll get a different hibachi experience every time.